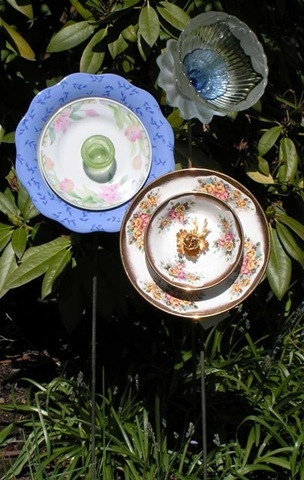 I love these recycled china flowers for the garden! 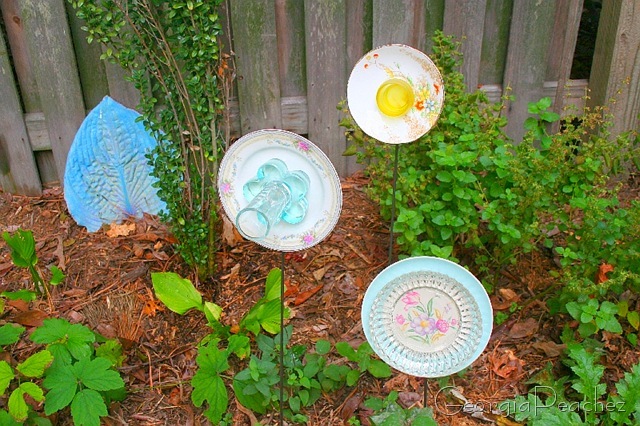 My blog friend Anitra of Coffee Pot People made these china blossoms for my garden. 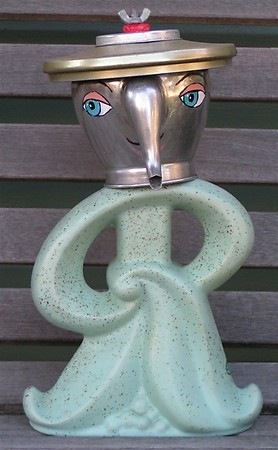 I love garden ornaments that are made from recycled items. This is such a simple idea, but a Fabulous one. My china blossoms are small, saucer size. Anitra also makes Mega Blossoms and this one just turned up in her etsy shop today. These would look great in my garden. But I think these must be in Anitra's garden. Lucky girl. I know I'm gushing but I think these are so clever. But do ya wonder,Coffee Pot People, that sounds intriguing. Hmmmm. This is Maurice, one of Anitra's latest creations. GET IT! I love it! 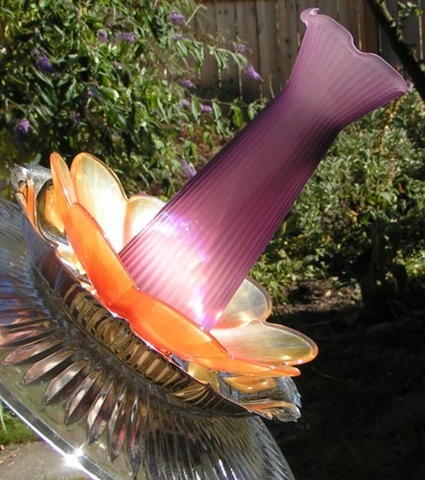 Love, Love, Love these flowers…what a sweet idea!! Thank you for sharing! Goodness…I wish I had an ounce or two more of creativity in me. Those are so unique and wonderful! Love the purple one! What a great idea for mismatched saucers and those “extra” vases we all have!! Those are so utterly simple and so clever. It’s one of those why didn’t I think of that ideas– which for me always means it’s so original, simple, and clever.